How Cheesy is Your Job? I love cheese! In our kitchen, cheese is often employed at all three meals of the day (Yes, even at breakfast on my bagel with an egg and pepperoni). Cheese makes everything taste better! Apparently unbeknown to many of us, we have been sprinkling our spaghetti and meatballs with a bit more than the green and red canisters claim. Stunning news broke last October. 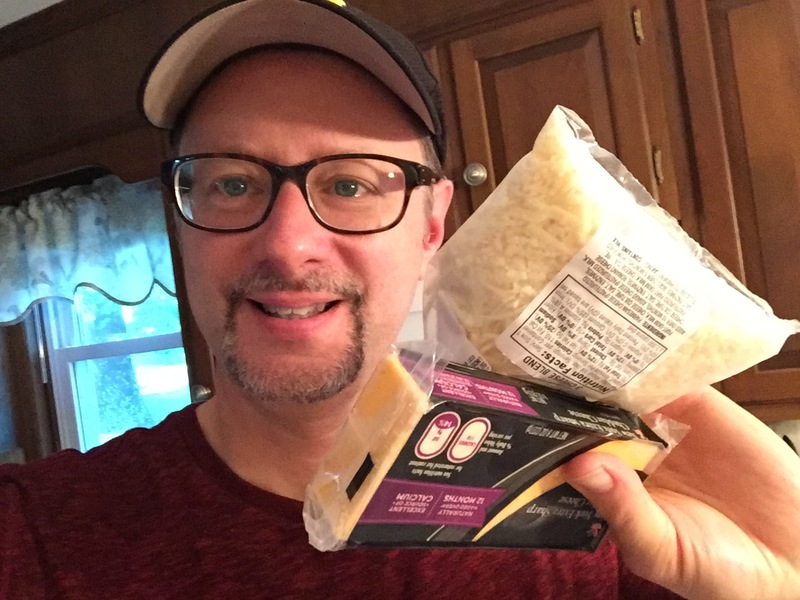 The president of Castle Cheese in Slippery Rock, PA was sentenced to two hundred hours of community service, a five thousand dollar fine, and three years probation. The offense? Her company was caught selling Parmesan cheese that was not fully cheese. Both the U.S. FDA and IRS raided Castle Cheese’s facility in early 2013 and discovered their products included substitute ingredients such as cellulose, an additive produced from wood pulp. The problem of adulterated cheese is not limited to Castle’s plant. 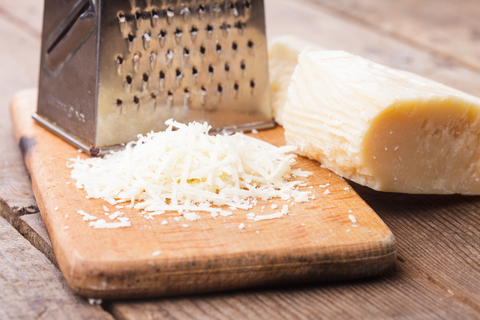 A Bloomberg News report in February 2016 cited broad-based, nationwide test results of various companies claiming to sell 100 percent grated Parmesan. An independent lab found cellulose levels as high as 8.8 percent. What’s the big deal, besides my gag reflex at the thought of digesting wood chips with my pasta? Why such public outcry and legal proceedings? Two correlating issues are in play, issues that actually hold big personal implications for our own jobs every day. First, integrity in business is at stake. What do we expect to be produced by a cheese company? Well, um, cheese please. (And though some cellulose supposedly serves as a non-clumping agent, our collective conscience demands that what they say on their label will truly be what they are really selling.) Before we get too high and mighty, judging the cheese makers’ false blend, let’s take stock of our own work products and services. Our customers and clients expect nothing less of our ingenuity, time investments, and relational focus. Will we step up as leaders, to design and deliver our most creative, thoughtful, and empowering goods and services? We are amazingly created in God’s image (Genesis 1:26-28) and whatever our daily tasks, we are called to serve the Lord Christ (Colossians 3:23-24). With such divine identity motivating us, there can be an ever-growing uptick in the quality and integrity with which we work. Second, there’s a crucial link between such authentic excellence and our witness for Christ. Tom Nelson urges us: “The excellence of our work often gives us the credibility to speak of the excellence of our Lord Jesus and to share the good news of the gospel with our coworkers.” We want to be sure that with both our words and our goods, we are serving up beautiful, deliciously genuine helpings of the gospel! Bottom line: No wood filler in our work. Let’s make certain our jobs are very cheesy! Tom Nelson. Work Matters: Connecting Sunday Worship to Monday Work. (Wheaton: Crossway, 2011), 96. I was first asked the insidious question many years ago as a student in a leadership workshop: “Which are you?” I naively assumed it was a valid question, a thoughtful call for leadership categorization. So which are you? Tasks and details-oriented OR people-oriented and more contemplative? “I thrive on relationships and time well-spent with others. C’mon, pour more coffee. Let’s chat, build trust, and bask in the process. But please, I don’t do the administrative stuff.” The result? There’s usually great talk with others, but little if anything actually gets produced. “Tasks and deets” OR “people and contemplation?” Workplace assessments, personality profiles, and job satisfaction surveys often force people into such categorical buckets. What if God’s view is much more integrated? When we analyze three of Holy Scripture’s hallmark work scenes, we make a unique discovery. Work Scene 1: In the biblical book of Genesis, chapters 1 and 2, we find a detailed, poetic, methodical list of day-by-day accomplishments. There is no doubt about it—God is orderly and very strategic in sequence. AND in this same report, humans and our subsequent relationships—both with God and one another—prove to be the apex of the Creation encounter (Gen 1:26-2:3). God’s work cannot be tightly filed into either-or folders. God does BOTH. Work Scene 2: When instructions are given for the building of the Hebrew Tabernacle during the Israelites’ wilderness wandering (Exodus, chapters 25-30), the Lord supplied a serious task list. (Admit it, many of us have lost it right here, our best Bible read-thru momentum has gone up in flames. ZZZZZZ.) We dare not miss the beautiful reality that God’s tedious tabernacle details culminate with a passionate focus on the skilled craftsmen named Bezalel and Oholiab. It was God’s oh-so-personal impartation of his Spirit that empowered them to accomplish their tasks. God’s work cannot be tightly filed into either-or folders. God does BOTH. Work Scene 3: The Gospel accounts reveal God’s Son, Jesus, working with similar modus operandi. Christ remarkably blended accomplishment of tasks, his focus on details with his priority for people and relational/contemplative cultivation (See Mark’s Gospel, chapter 6, verses 30-44 for Jesus’ both-and blend in this story. Five thousand+ people enjoy an amazing picnic!). The God-Man did both. If you’re more of a task-oriented person, marvelous! Bridges would collapse without the engineers and code enforcers. Cars and trucks would not make it down the road one mile if we lacked auto designers and mechanics. You rock! Local and global economies would crash without the pencil pushers and number crunchers. God’s work in this world needs you. We need you and your penchant for spreadsheets and schematics. We applaud you! And there are those of you who are all about the conversations, extended times of deeper contemplation, and fostering dynamic connections. You lunch meeting experts and relational gurus, thank you! You keep us caring, encouraging, feeling, healing, networking, learning, and growing. God’s work in this world needs you. We need you and your bent toward conversing and flourishing with others. But over the years, I’ve observed: Most of the most effective leaders deliberately develop a skillful blend. They’ve learned to do the dance between details and people. They resist the bog-down and paralysis that often comes with either-or thinking. How can we do that in our own businesses and workplace leadership? 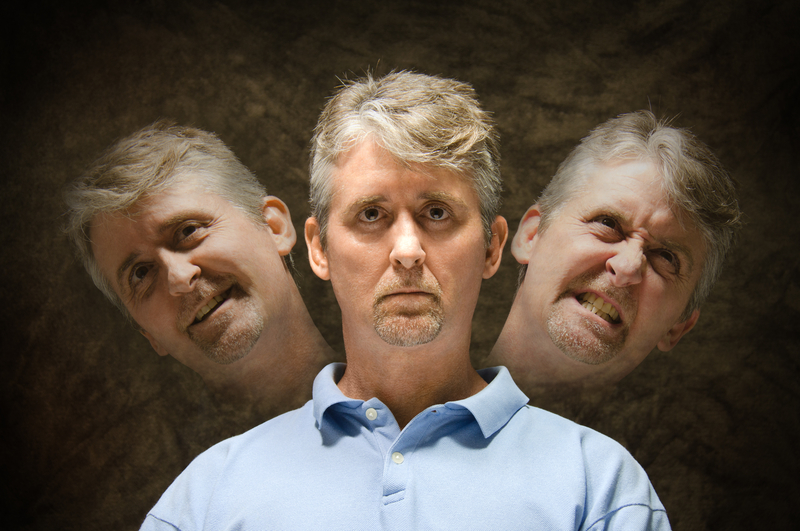 Push back against your own either-or thinking. You’re seriously limiting your own potential and the productivity of your business when you willingly decide it has to be either-or. Instead, embrace attitudes and daily patterns that involve both strategic tasks AND loving conversations with people. Dare to embrace this bolder, image-of-God reality. You CAN do both! Don’t aim for perfect balance in this crucial leadership choice. Balance is a ridiculous pursuit. Instead, shoot for a God-like blend, skillfully choosing between people and tasks as opportunities emerge. Since the Lord is our ultimate example of a creative leader and flourishing worker, let’s dare to cultivate such a tasks-people blend in our workplace approaches. If you’re more task-oriented, deliberately schedule more people time. Hans Finzel warns us about “putting paperwork before peoplework.” (The Top Ten Mistakes Leaders Make, chapter 2) When you create greater margin for relational cultivation and reflective contemplation, you’ll likely see an exponential increase in your quality of connectedness with others and subsequent productivity in teamwork. People sometimes ask me how I get so much done while being strongly relational in my approach. I smile and tell them my secret weapon. I make aggressive task lists. Now because I personally bristle at the thought of being too task-oriented, I label my uber-full weekly list as “OPPORTUNITIES this Week.” (You’re probably chuckling and calling me out: “Okay, Pletch is crazy—just playing a semantics game.” But hey, it works for me. Really!) And the silver bullet is this: My “OPPORTUNITIES” list always includes more people with whom I’m aiming to connect, equip, and cultivate. What have you found best helps you push back the either-or approach and more fully live out God’s beautiful blend of details and people?